One of my external hard drives failed last week – I’ve have had to order a new drive and won’t know how much I will recover (its the drive where I have been storing a lot of my video footage) but not panicking yet as most of my work is backed up – I hope – maybe I’m still in shock as the drive isn’t that old. 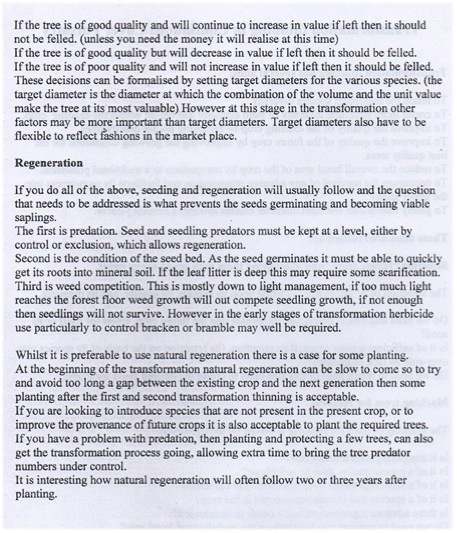 Anyway, have been coming across old files and found these information sheets (see below) of when I began the transformation of my conifer plantation back in 2008. 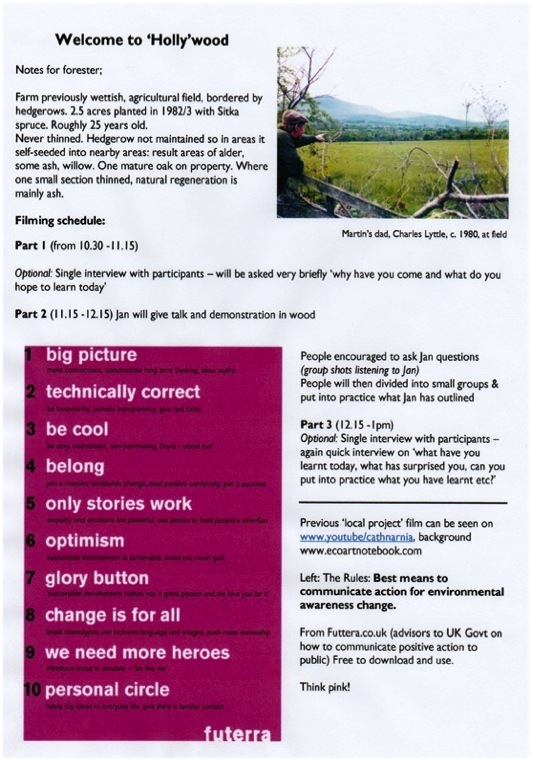 A big part of my PhD work is documenting, making explicit, the decisions I have made in my forest-art-ecology-politics project and one leading arts-land educator has pointed out that its important to trace the origins of such projects, as they often begin well before a creative arts PhD is undertaken. 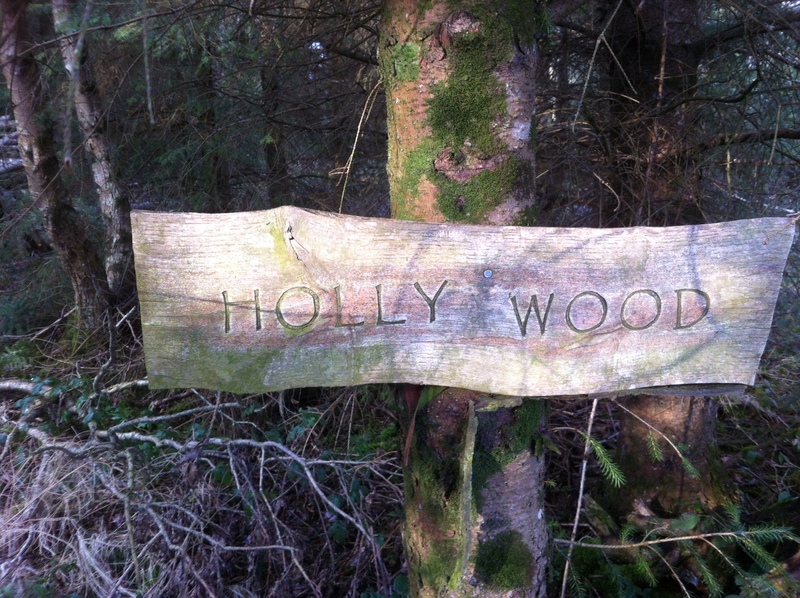 My ‘Hollywood Diaries’ project started officially on 28 April 2008 when my friend Jan Alexander (Crann founder and past chair of ProSilva Ireland) generously gave myself, neighbours and others interested in permanent, continuous cover forestry, a lesson in tree marking for selectively harvesting trees, and an outline of general Close-to-Nature-continuous cover forest management principles. 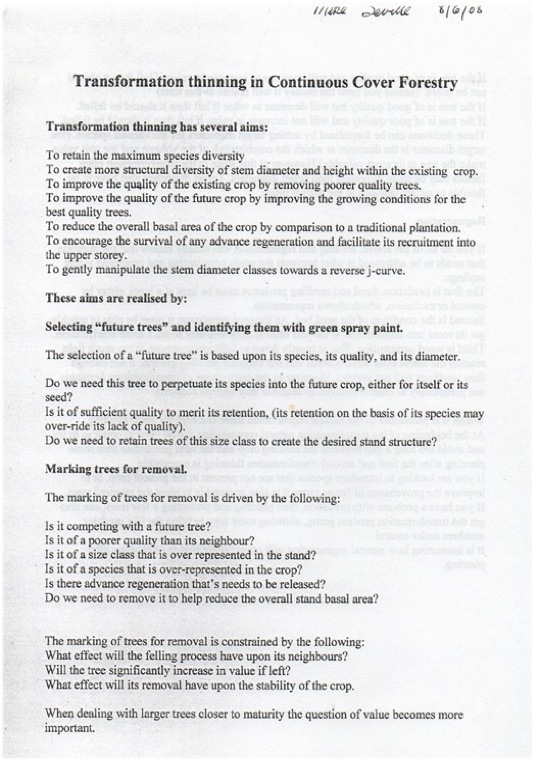 Here is the three sheets I gave to all that attended (the last two sheets are notes Jan gave us all on the basics of Transformation thinning in Continuous Cover forestry). 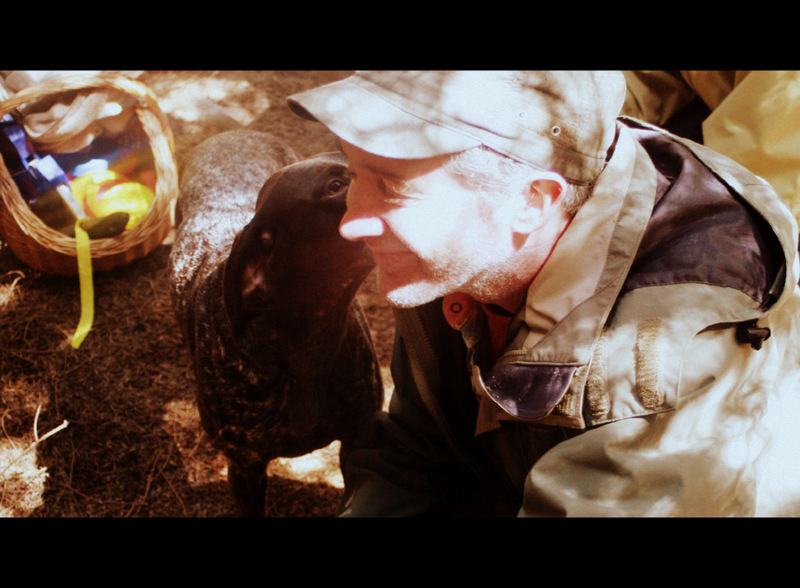 I had at that time been thinking of creating a film of interviews with the people attending but something held me back and the film I did make was less about people involved but more of the forest; trees, cuckoo and fireflies – as it should be (the film was burning bright (2008). 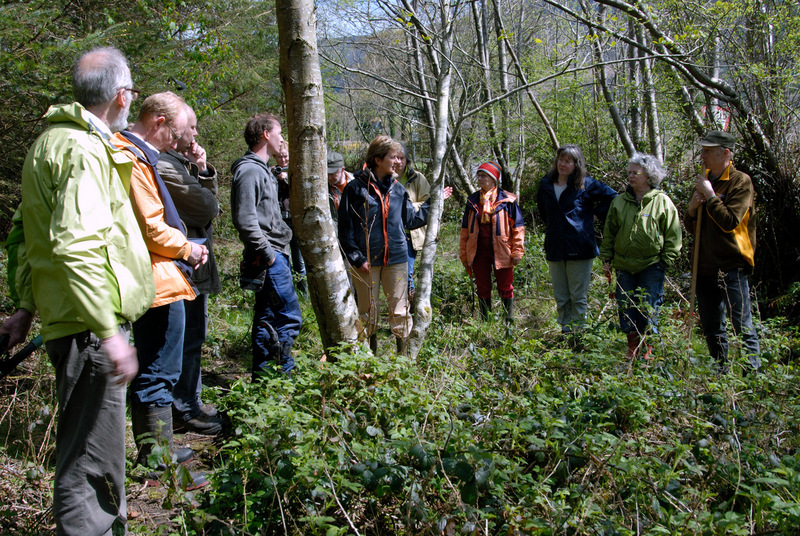 I started my work on forest policy work in 2009 (I’m the Irish Green Party forest policy spokesperson) and have been involved on the committee of ProSilva Ireland since 2009 (a leading NGO who have spearheaded knowledge and practices of Close-to-Nature-continuous cover forestry across Ireland since 2000). My work with forests goes back much further too, back almost 18 years when I first worked on the Crann Leitrim Hedgerow project (my first tree-art-writing project was an illustrated Crann calendar of Irish Rare Hedgerow Trees and Shrubs (1997).